SYNOPSIS: Sugar! is an adult coming of age story about a housewife who gave up her life as a musician for her politician husband. 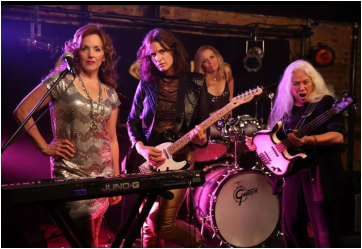 When an old band mate passes away, she decides to revisit her passion for music by secretly forming an all-women's rock band. Sugar! stars Alice Ripley (Tony winner - Next To Normal) and Robert Clohessy (HBO's Oz, Wolf of Wall Street) w/ music by Graham Russell (Air Supply). SYNOPSIS: Emma Everything is an original dramedy series about a career-driven, modern American woman, aptly nicknamed Miss Everything, who attempts to rule the world one temp job at a time. Temp extraordinaire Emma Bailey faces mega challenges and encounters oddities of all kinds whilst trying to find a job that suits her many talents. Season One finds Emma immersed in politics after she accepts a position on an endearing Korean candidates Mayoral campaign. Emma’s support system includes: her adopted “white” brother Will and her fashionista friend from grade school, Hannah, along with her boss Larry and a love interest (or two?). Each season will find Emma drenched in controversy and constant scrutiny by jealous co-workers and her own self-doubt. Will Emma succumb to her critics? Or will she find a way to dream bigger than she thinks she deserves? ​ dating fast lane spins out of control. Will it be a match made in heaven or will all hell break loose? ​SYNOPSIS: Andrew “Drew” Shelton appears to have it all… Looks. Money. Women. But behind that charming smile lies an unimaginable evil. An abusive childhood has turned him into an impulsive, delusional sociopath who has developed an insatiable appetite for beautiful women’s flesh. As the bodies pile up and a gung-ho detective starts stalking him, Andrew descends deeper into madness. His obsession with one woman might be the only chance to stop him from serving up his next victim. Or will she fall prey and become the next main course? 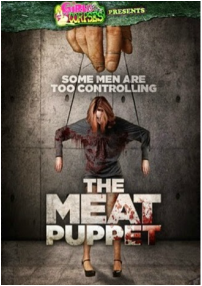 But is Andrew the soul-less, cold-blooded killer that he appears to be or is he just The Meat Puppet for an even more sadistic mind? SYNOPSIS: An elite CIA team was prevented from acting on intelligence to stop the 9/11 attacks… just hours before the planes took off from Logan airport. In the aftermath of the tragedy, many lower level operatives were reassigned and the team was dismantled. Years later, the CIA has created a secret unit known as Echelon 8. Approved by a congressional shadow committee known only as "The Keepers," E-8’s purpose is to carry out controversial surveillance… on their own country. I couldn't believe when I read the budget for "Echelon 8" was under $100,000. It looks better than most million dollar films out there today. Pretty good acting, excellent quality, great action (loved the explosions), car chases. If you like "24", you'll love this. How did they do all this at that budget? There's a lesson in this Hollywood... stop wasting money on garbage and learn from what independents are doing. Great job and enjoyed the film. Very relevant to what's happening in todays world. Center of Attention is a monthly comedy show featuring nationally renowned comedians, legitimate rising stars and occasionally a surprise celebrity guest appearance! The lineup changes each month allowing audience members to experience a vast variety of stand-up comedy styles... all in an intimate setting, for a low ticket price and "economy friendly" drink specials! Center of Attention is a definite "must-see" for comedy fans in New York City.